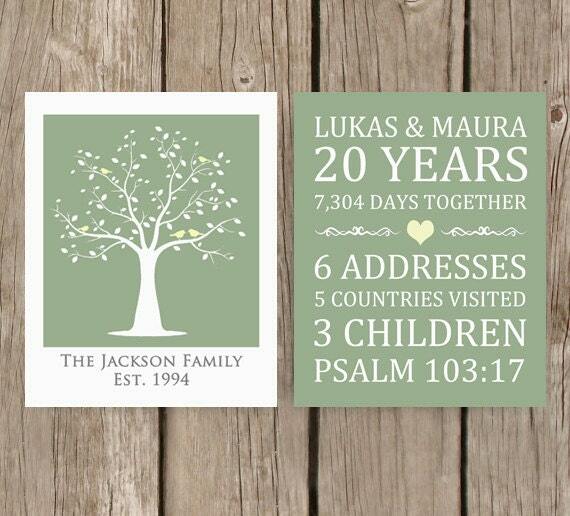 Add this Custom Anniversary Two Print Set to your decor as a fun way to tell your family's story! Customized just for you! Also makes a great gift! Includes two prints: Family Tree print and Loves Journey by the Numbers print! Print sizes: 8" x 10". Custom colors available and middle graphic on numbers print is customizable - just ask! Best printed on 110 lb. card stock either on your own printer or at a print shop. You will receive a hi-res PDF (300 DPI). File will be created and designed by me and sent to you once approval is received..